The first entry to the MRC under water challenge. A dope fish and a weird OPL4 tune! The second Under Water Challenge entry is a demo with 3 parts: Bars with bubbles, Plasma and a Picture with a text-scroller. 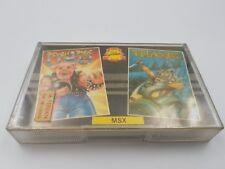 System requirements: MSX1 with 32kB RAM. The third entry to the Under Water Challenge. A game for one or two players! The fourth entry to the under water challenge: an unfinished game inspired by Mario brothers. Maso Jose sent us the fifth entry for the Under Water Challenge: a benchmark for the TMS9918A VDP. 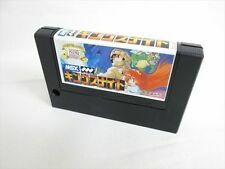 The benchmark only works on MSX1 computers/emulators. A start of a remake of the arcade game 'Blue Shark'. A lot of time was spent on finishing the impressive intro-screen, which is why the game itself lacks collision-detection and several other features. David would like to finish this game in the future. Team Bomba's contribution to the Under Water Challenge is a GFX9000 demo, consisting out of two parts. If you have an IDE, SCSI or CompactFlash interface and a Moonsound with at least 256kB SRAM, you will also hear an underwater Moonsound song. The eighth entry to the Under Water Challenge, created by Marco Rossin. A small demo for tubroR running DOS2. You can control the fish with cursors and spacebar. Infinite's entry to the Under Water Challenge is a Trackmo. The main part of this production is the song. The graphics are there to add some extra's to the atmosphere. N-Sub was an arcade from Sega 1980, later ported to the SG-1000 console. 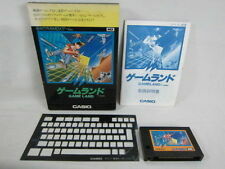 This version was in turn ported from the SG-1000 to the MSX. The original game didn't have an opening screen, so a brand new one was made from scratch. 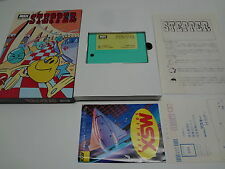 Requirements are: MSX 1 with 64kb, run from MSX-DOS.